We are crazy about Andalusia! Viva Andalusia! British people love Andalusia. Andalusia Day is celebrated on February 28 and it commemorates the February 28, 1980 referendum in which the Andalusian electorate voted to make Andalusia an autonomous community of Spain. We love Andalusia, and Andalusia loves us. How are you going to celebrate this historic day? In Spain, the summer officially starts with the night of Mr San Juan. 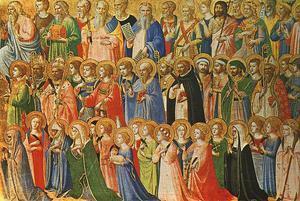 Historically speaking, I have no idea about the origins of this festival, or if it means anything significant. 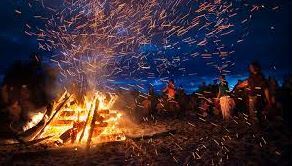 However, what I do know is that, not only is it a great event to spend the night on the beach, but it also is the perfect opportunity to let your hair down and go swimming under the moon and stars. 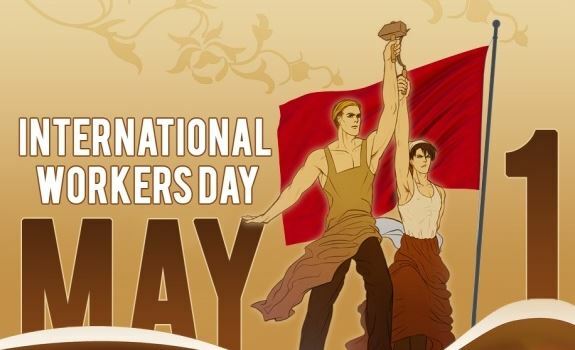 According to Wikipedia, International Workers‘ Day – or, Labour Day is an annual holiday to celebrate the achievements of workers. Labour Day has its origins in the labour union movement, specifically the eight-hour day movement, which advocated eight hours for work, eight hours for recreation, and eight hours for rest. For many people, the festive season usually means more drinking, more eating, more dancing, and less sleeping. 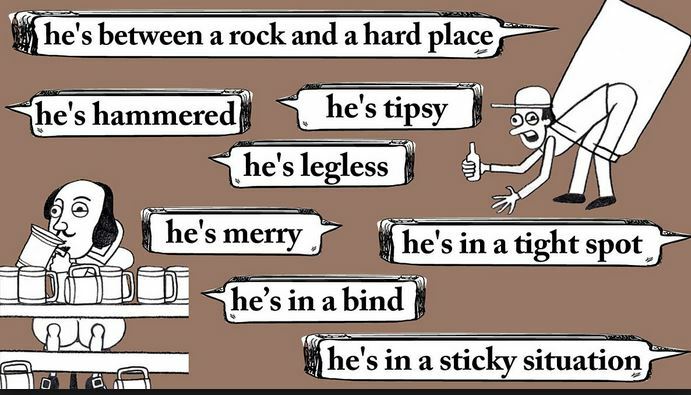 With this in mind, which of the following expressions mean that you have drunk a little more than is socially acceptable? Janette would like to wish all her clients and the larger international Inglés Málaga community a very fun and jolly festive season. It has been a challenging, fun and rewarding 2017. We have improved our English language skills to achieve a lot of personal and professional objectives, including, passing official exams, getting better-paid jobs, setting up businesses, and emigrating abroad. In addition, the Inglés Málaga community has got engaged, got married and had children. And, last but not least, our language skills have enabled us to help lost tourists, translate for patients in hospital, and break down geographic, religious, cultural and political barriers. Inglés Málaga clients are not average, they are exceptional. On a personal note, I have learnt a lot more than I have taught, and without a shadow of a doubt my life is infinitely richer as a result of my clients. Thank you, it is an honour working with you all! As many of you know I can’t stand anything to do with cooking, baking, boiling or frying; not to mention the fact that washing up is as dull as dishwater. However, I have an extremely sweet tooth and spend a lot of time stuffing my face with chocolate, cake and biscuits. Consequently, if anyone wants to try out this recipe for spooky biscuits, it would be my pleasure to eat them for you. Scared to death: Happy Halloween! To be scared to death is a popular idiom which means to be very, very frightened. Some people are scared to death of spiders, some are scared to death of cockroaches, but truthfully, I’m scared to death of dogs, cats and the walking dead! I mean seriously, who wants to come face to face with a zombie?! Well, how stupid am I!! Obviously, the residents of Málaga. Indeed, every 31st of October the usual late night bar hoppers and trendy clubbers all dress up in costumes of ghosts, werewolves, vampires, skeletons and evil creatures and roam around the streets doing bad deeds. Consequently, every Halloween I turn off the lights, lock the doors and hide under my bed eating garlic. That’s right, no vampire is ever going to bite me in the neck. 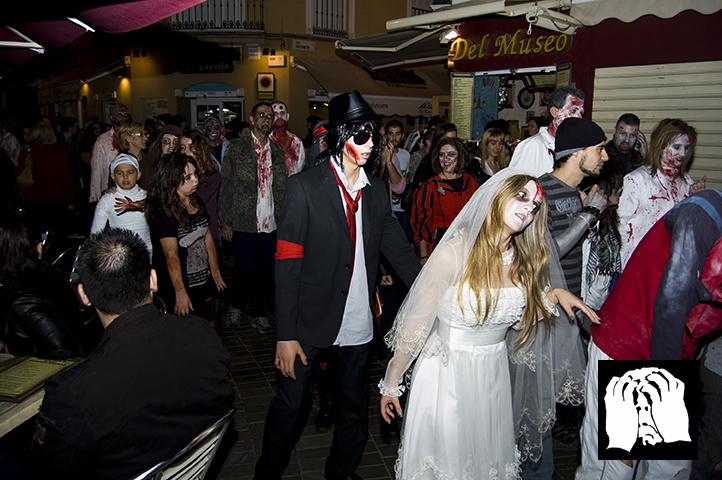 If you want to read more about how Halloween is celebrated across the globe, check out The Fairs and Festivals section of the Inglés Málaga website. The 5th of November is Bonfire Night or Guy Fawkes Night. 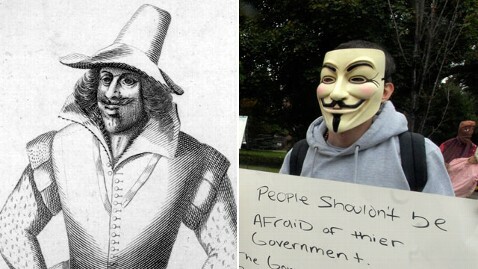 Guy Fawkes was a catholic who led a plot to blow up the Houses of Parliament and bring down England’s protestant monarchy. He was caught, imprisoned in the Tower of London, and tortured for four days under personal orders from King James I.
Interestingly over time, Guy Fawkes has become a symbol of equality and social justice. In fact, in recent history, a lot of people have worn masks of him during social, economic or political protests. If you are a culture vulture and you want to know the origin of this British custom please click here. 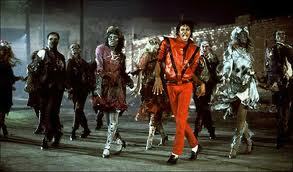 In my opinion, Michael Jackson’s Thriller is by far the best tune to play during Halloween. Indeed, no matter what your opinion is about Michael Jackson, the man,( ”OMG, what a nutjob!”) you can not deny that he was a second-to-none performer with incredible dance moves and an amazing voice. Just check out his video and you will know exactly what I’m talking about. So, can I improve my English by listening to tunes? Absolutely! If you listen to songs and read the lyrics at the same time, you will definitely improve your listening comprehension, your knowledge of colloquial vocabulary, and as importantly, you will get a free physical workout at the same time. I mean, who doesn’t try to do the Michael Jackson dance?! However, be careful, it’s highly likely that you will not improve your grammatical accuracy!